With a variety of types, succulents range from massive trees and shrubs from 10 to 40 feet tall to tiny plants with leaves the size of rice grains. Originating in warm-weather parts of the world, such as Mexico and South Africa, succulents appear in a variety of habitats, from deserts to Mediterranean climates. Fortunately, all succulents share some common characteristics that help in identification. All succulents have methods to store water during droughts, primarily fleshy and thick leaves, stems or roots. The leaves shrink and become more thin without water and plump up when water is available, becoming almost juicy. 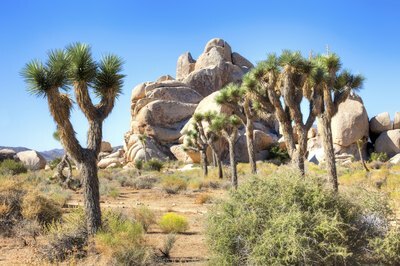 Certain succulents, such as xerophytic ones living in hot, dry deserts, have additional ways to gather water, such as thin and shallow root systems that are able to soak up water quickly during an occasional downpour. All cacti are succulents that store water in their stems. However, the cacti areole, a cushion for holding spines, sets these iconic plants apart from other succulents. 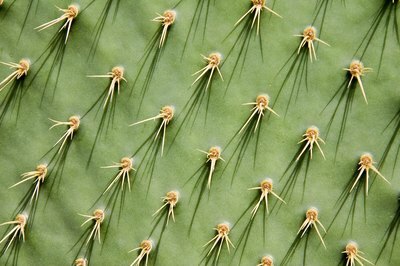 Cacti spines growing from the areole make identification easy in most cacti, such as prickly pear (Opuntia compressa), a paddle-shaped cactus with needle-shaped spines that grows in U.S. Department of Agriculture plant hardiness zones 4 through 9. More difficult to identify are the few spineless cacti, such as Christmas cactus (Chlumbergera truncataor), a common houseplant that also grows in USDA zones 10 through 12 and blooms during the winter. 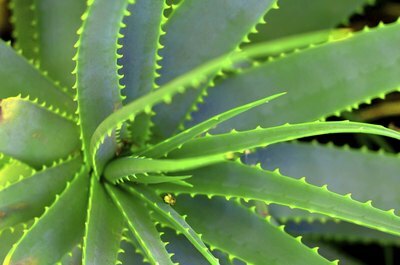 While the succulent section of your local nursery may only carry those fleshy plants typically known as succulents, in fact, the category is much broader. 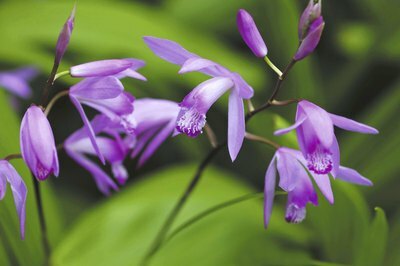 Orchids are succulents as well, including the easy-care, cool-growing dendrobiums (Dendrobium group), which need little water during their winter dormancy period, growing either indoors as houseplants or outdoors in USDA zones 9 through 12. So too, many plants from the Bromeliaceae genus, such as the ball moss air plant (Tillandsia recurvata) need little water to thrive and can live during a dormant period in USDA zones 8 through 11. Falling into a semi-succulent category, some plants with bulbs either can sprout using moisture from within the bulb before the normal rainy season or retain their green foliage for some time during the dry season. To identify these succulents, look for plants with bulbs that seem to bloom earlier than expected or whose foliage is long lasting. 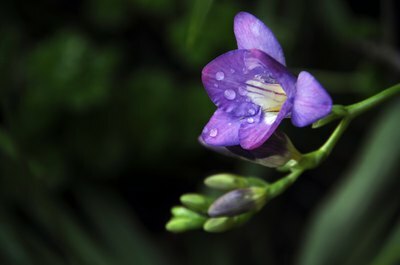 Freesia (Freesia spp. ), a native of South Africa, hardy in USDA zones 9 through 10, is one example. Tucson Cactus and Succulent Society: What Is a Succulent, Anyway? What Is So Unique About the Candelabra Tree?